More information on the E70 rear wiper, what's the deal with that? Very Nice. Did you consider the button in the ashtray ? I did not. I hate anything installed in the ashtray. I have an aux input installed there currently. I pulled the ashtray from the parts truck to replace mine that has been drilled into. I tend to use my ashtray for trash (usually receipts) but don't like anything else in there other than the lighter. Personal tick I guess. It just gets rid of the metal arm that tends to rust and look old on the E53 in favor of the solid plastic arm on the E70. Installs the same way the old one came off in 5 minutes (unless yours is frozen to the motor shaft like mine was) with one 13mm nut. The plastic on this one is kind of dull so I might hit it with some SEM trim black or something at some point. Will see if it bothers me while I'm washing the truck. 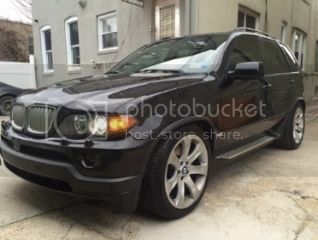 Took care of a small annoyance that has bothered me since buying the X5 over 3 years ago now... man time flies. All you had to do was change out the plastic cover that goes over the gauges? I have the same crack/scratch going down the middle of my cluster since I purchased it also. Always drove me crazy. Yessir. 20 minute job. The X5 is, by far, the easiest vehicle I have pulled a cluster for. Hardest part is disconnecting the battery, and I'm not even sure that's absolutely necessary if you don't put the key in with the cluster removed. 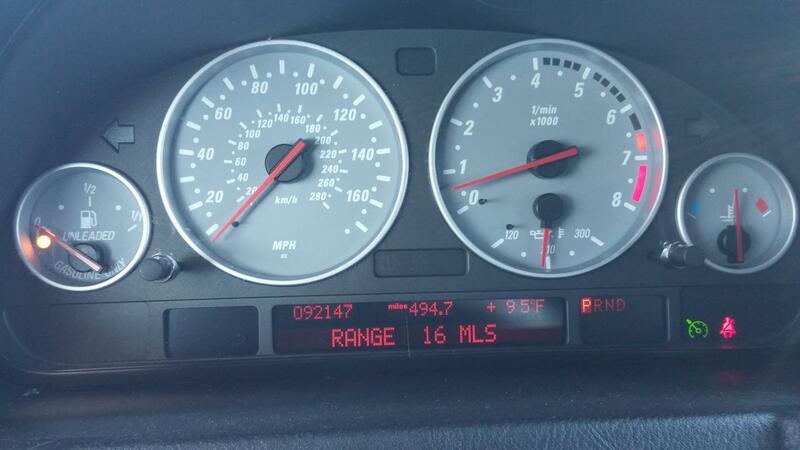 Any e53 cluster lens would work (or e39 I believe), but the 4.8is uses the matte silver rings around the gauges. Other X5's use no rings, or chrome rings, so you have to watch out for that. I got lucky in that the 4.4i parts truck had the same rings as are in the 4.8is. My previous 4.4i had chrome rings. Hey Joe, would I be able to swap my chrome rings for silver relatively easy? It's been a while since I worked on my e39 cluster. Yes, that is your tank of 21 mpg and 500 miles on one tank. Still the best I've seen in this truck. I don't think it would be easy to swap the rings. I tried to take the silver ones out briefly for you but had no luck in even budging them. These appear to be glued in and not just pressed in like you would see with aftermarket rings. An option. A couple of pictures of QTP oval cutout install. No problems with sealing or the motors over about three years which can be a problem with some brands. Was able to install the equal length from exhaust manifolds. Installed the switch in console with other controls.